The Syrian military command announced that its troops had raised the Syrian flag in the city, which was called a call by the people of the region. The statement read on Syrian state television emphasized the importance of "preserving national sovereignty" and reaffirmed the "determination of the military to destroy terrorism and defeat all invaders and occupiers." It came shortly after the People Protection Units (YPG) issued a statement calling on President Bashar al-Assad's forces to regain control of the areas they had withdrawn from in order to protect them from to protect what the group called the "Turkish invasion". The YPG is the backbone of the US-backed Syrian Democratic Forces (SDF), the Kurdish-led force that was America's main partner in the fight against IS. 6 km from Manbij. 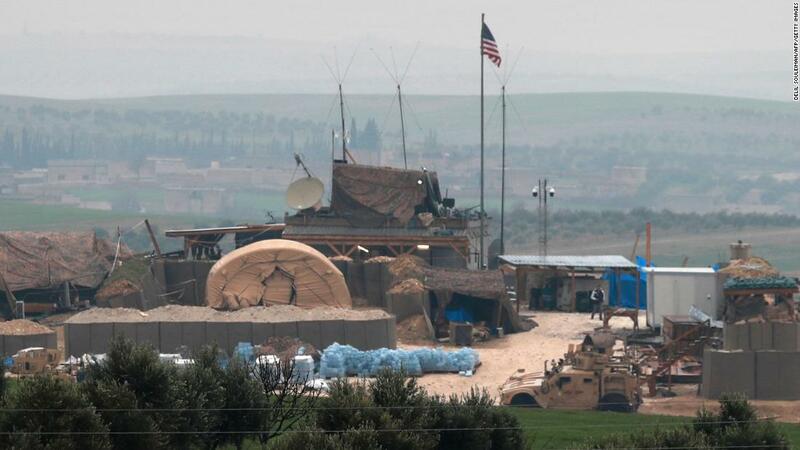 Spokesman Yousef Hamoud told CNN that US forces continued to control the city. Last week, President Donald Trump surprised foreign allies by announcing the swift withdrawal of US troops from Syria and stating that the war against ISIS had been won. US Secretary of Defense James Mattis stepped down because Trump had not decided on Syria's decision, which could endanger Syria's Kurds from both IS and Turkey. Turkey, a NATO member, considers the Syrian Kurds a terrorist group linked to a Kurdish uprising in their country. The clashes between the Turkish military and the SDF have temporarily plagued and delayed the final operations against ISIS. The YPG said Friday it would focus on the withdrawal of all fronts in the east of the Euphrates on the fight against ISIS Manbij. While the YPG had some minor skirmishes with Syrian government forces at the beginning of the war, they allowed the Syrian military to gain a foothold in their control areas. Bianca Britton of CNN wrote from London. Kareem Khadder from CNN reported from Jerusalem, Eyad Kourdi from Gaziantep and Gul Tuysuz from Istanbul.